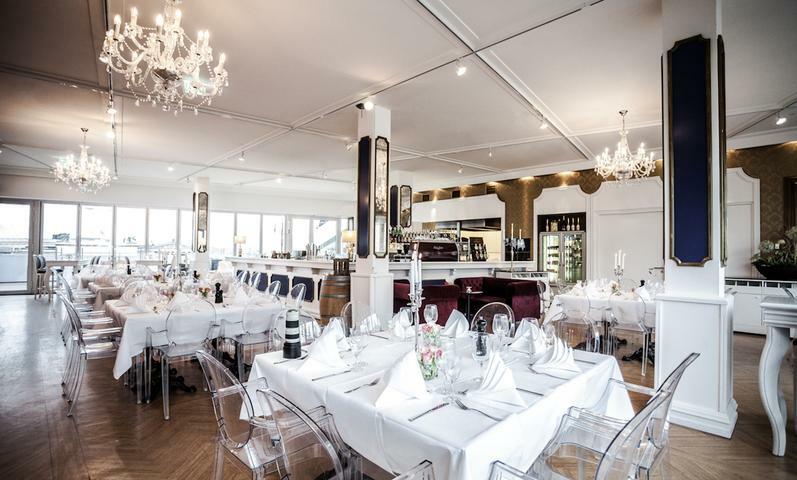 An absolute top location, on the top floor of the Humboldt-Box building, this cafe-restaurant and event venue is a fabulous place to organize an event. 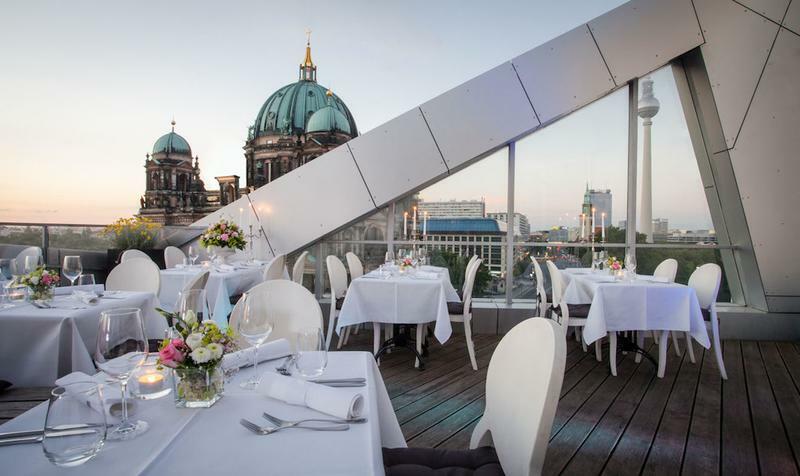 The Humboldt terraces are close to the Berlin cathedral, the museum island, Alexander's place and the Brandenburg Gate. Enjoy your day or evening with stunning views to the most exceptional sites of Berlin. 300 m² of event surface with both interior and terraces are available for your event with a 360 panorama view of the city. Enjoy a high-class get-together, a gourmet dinner or even a relaxed barbecue on our terrace during the summer months. With all our spaces in use, the venue can hold events of almost 400 people. Our well-known menu will make your guests really enjoy their time or we can also customize the servings to suit your event idea in the best possible way. The maximum capacities are for summer months when both terraces can be used. Contact us for further details regarding your specific event. 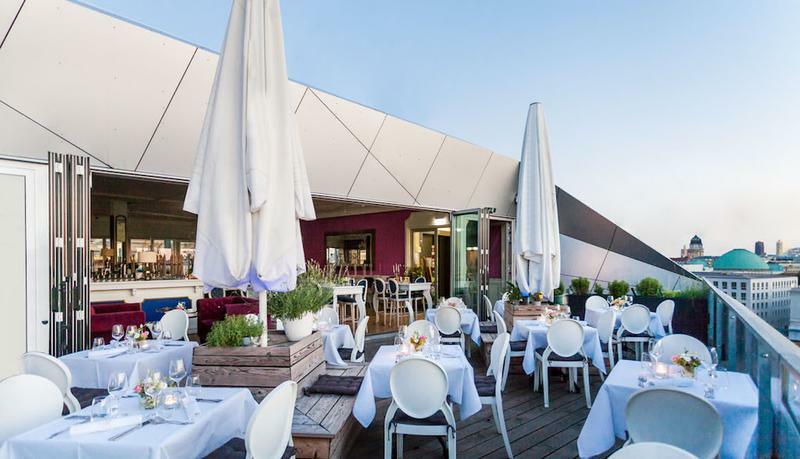 The interior is 140 m2, the Domterrasse is 80 m2 and the Schlossterrasse 150 m2. Ask for packages created for your event.